But then guess who we bumped into? 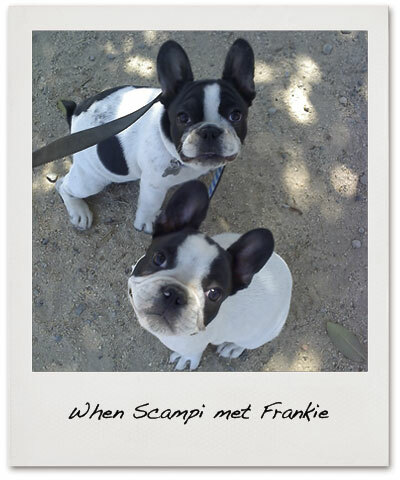 We spotted another Frenchie and went over to say hello - it was Frankie, Scampi's sister! They had a lovely reunion biting and playing. That is a very funny story - and I love the pictures! I have an American Bulldog and an English Bulldog - those frenchies are so cute - maybe I should add one!